1. Choose destination computer that you want to monitor from computer list. the agent you chose must appear with an online status. 2. 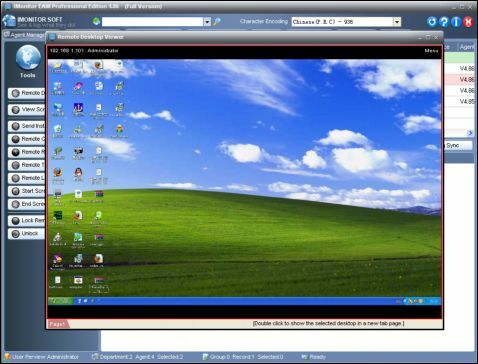 Click Remote Desktop -> Tools -> Remote Desktop Viewer. 3. 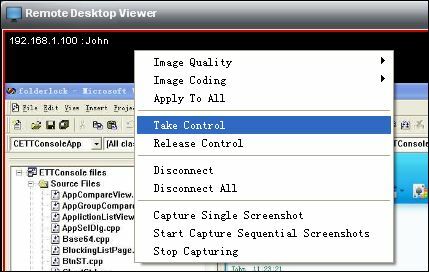 Click your mouse's right button on the desktop image to show control menu. 4. If you want to take a control of remote computer's mouse and keyboard, click Take Control. 5. If you want to save current screenshot to file, please click Capture Single Screenshot.